Our next guest on Beyond the Locks is Sergio Valencia, a former national professional soccer player who is well known coach and trainer on Long Island, NY. Sergio’s shares his story of how the military and educators were constantly after his long hair. With the support of his family, friends and his talent in soccer, Sergio was able to keep his hair flowing. Late phase awkward stage hair? Congratulations, you’re almost through the dark days. Here’s how to plan your exit strategy and enjoy your new-found mane. You’re a guy with long hair; or maybe you want to grow your hair out. But how do you overcome the naysayers? With the many pressures of society and your peers, it can be a challenge—especially if you’re in high school. Here’s how one determined longhair has learned to wear his hair with confidence. Blog post #156 is a special one, that’s because we’ve published a blog post every single week for three straight years. We’ve never missed. Now we’re asking you to SOUND OFF, let us know you’re here with a Longhairs community ROLL CALL. It’s a time of year for The Longhairs to give thanks, and with gratitude we need your VOTE to help Children With Hair Loss win a $10K donation in the The Level One Bank 10K Project. In our new series, Beyond The Locks, we highlight men with long hair from different cultures, backgrounds, races and ethnicities. Our first guest is Maurice Cherry, a creative director, entrepreneur, educator and longhair. We are proud to announce our new partnership with Children With Hair Loss, helping build confidence and self esteem for kids who can’t grow their own hair. Starting with our first donation of $1,620, we are happy to donate $1 for every sale to Children With Hair Loss. Having long hair in a barbershop can be concerning. But the committed longhair should enter without fear, because barbershops are for beard trims. Read on as guest contributor El Barbudo enters the house of haircuts, and departs with a newfound love for his locks. Should These Boys Be Banned From School? 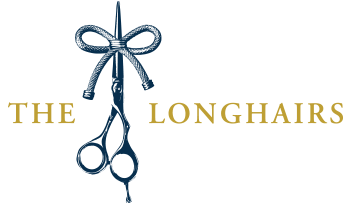 LONGHAIRS ISSUE STATEMENT: Sign the petition and tell the school districts it’s wrong to bar children from class for the length of their hair. Men with long hair in business have been historically sparse. Here we celebrate 12 legendary longhairs in business, and their fortitude, courage & success. A candid examination of bullying, gender norms and selfless acts of kindness. Despite the shocking absurdity of his recommendation, I entertained the idea. And while I can appreciate his candor, here are the top six reasons why I choose to keep lettin’ it ride. Joe is a burly outdoors man with the right mix of long hair, beard and style. We sit down with the 2-time best dressed man on reddit and talk long hair and thrifting. A righteous interview with Lane Pittman, the longhair who defied Hurricane Matthew, and who was arrested for slaying the national anthem on 4th the of July. Master professor in Brazilian Jiu Jitsu, Mr. Klay Pittman shares his story about long hair, martial arts, self confidence, superior mens hair ties and more. Gus made it through the awkward stage, but he’s still pretty awkward. Even so he shares his best awkward stage hair tips and what it took to power through. Have you ever asked a man for a hair tie? No. You know why? Because it wasn’t cool…until now. Now you can get Hair Ties For Guys™, and guess what? Now it is cool. Here’s the story behind the Hair Ties For Guys™ commercial. 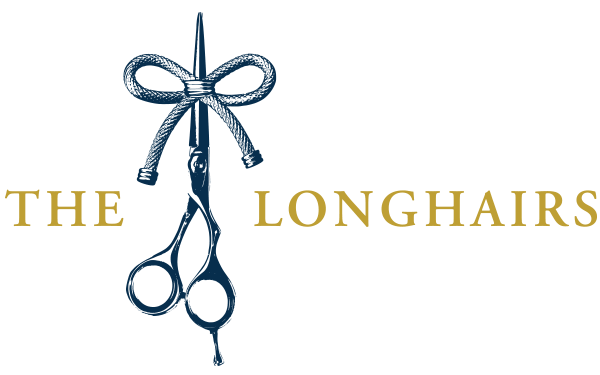 With our November check, The Longhairs have donated $1,030 to Locks of Love. Now we’re announcing the largest gathering of men with long hair in the history of mankind for the purpose of donating our hair to charity.